This is an acrylic painting on canvas. This painting measures 16″x 20″. Did you ever want to just ditch it all? Maybe just on occasion? Sometimes a “mental escape” is all we really need! Well, this painting is just what the doctor ordered. 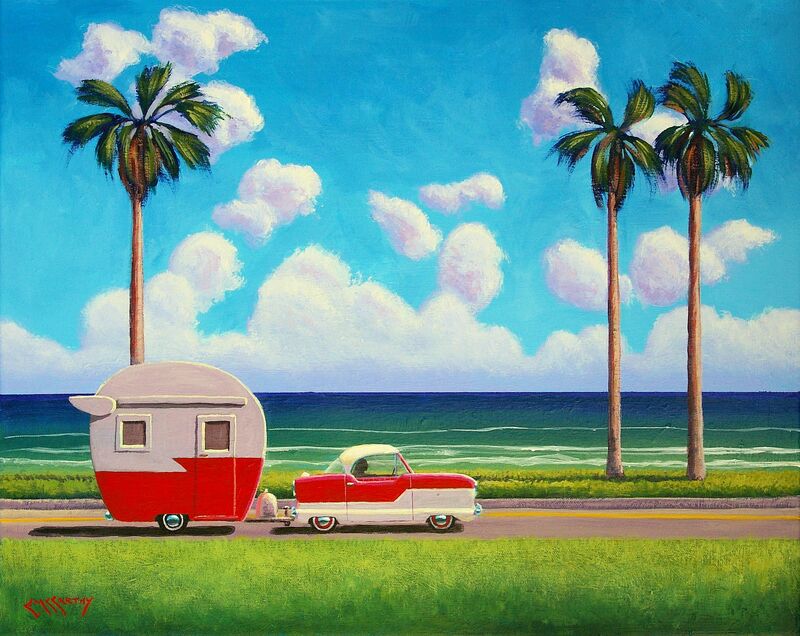 A figment of my imagination, this is one of several in a series that focused on vintage cars and trailers. This painting is being sold unframed.